American Well offers software, services, and access to clinical services – everything needed to offer a complete telehealth service – whether you are a health plan, an employer, or a delivery network. 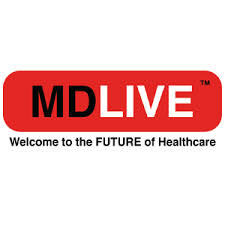 Their mobile and web service connects doctors with patients for live, on-demand video visits over the internet and handles all the administration, security, and record keeping that modern healthcare requires. 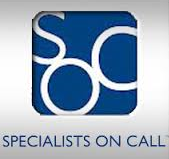 A Joint Commission-accredited provider of emergency telemedicine consultations dedicated to solving the national specialty physician shortage. Their teleneurology, telepsychiatry and teleintensivist services provide innovative, cost-effective answers for hospitals nationwide seeking immediate 24/7/365 access to experienced, board certified specialists. Their cloud-based Virtual Medical Office software platform makes it possible for patients, medical professionals and plan administrators to collaborate seamlessly and securely via voice, video, email and mobile devices. Payers and providers can also utilize the HIPAA-compliant system to collect and share clinical data from patient medical records, lab results and in-home biometric devices for real-time risk assessments, wellness advice, diagnosis and treatment. They also provide affordable, 24/7/365 consultations via a nationwide network of board certified physicians and licensed therapists. Only $40 per appointment – same as a co-pay, much less than urgent care or the E.R. Ddoctors can diagnose and treat most medical conditions. Great for mild infections, cough / cold / allergies / flu, pediatric questions, and Rx refills. As seen on Dr. Phil, The Doctors, USA Today, Time, Fox News, and many more places. 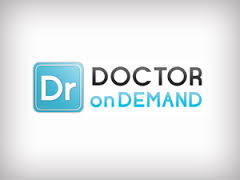 When to Use Doctor on Demand? HealthTap is an Interactive Health company that enables people to have access to health knowledge, medical experts, and action recommendations via the internet. Patients can ask medical questions of HealthTap+’s network of thousands of doctors for free, and get access to health tips, checklists, and news articles on a comprehensive array of health topics and issues. HealthTap+ premium HealthTap Prime service members pay a monthly subscription fee for live consults with physicians via video or audio conferences. The service is available from mobile devices or a PC with an internet connection.